The Garden of Faiths@ BWM series serve to promote interfaith understanding and acceptance in Singapore by providing regular platforms for people, especially in the vicinity of BW Monastery, to learn about one another’s faiths and interact with one another. Find out more about Islam at this Garden of Faiths sharing. 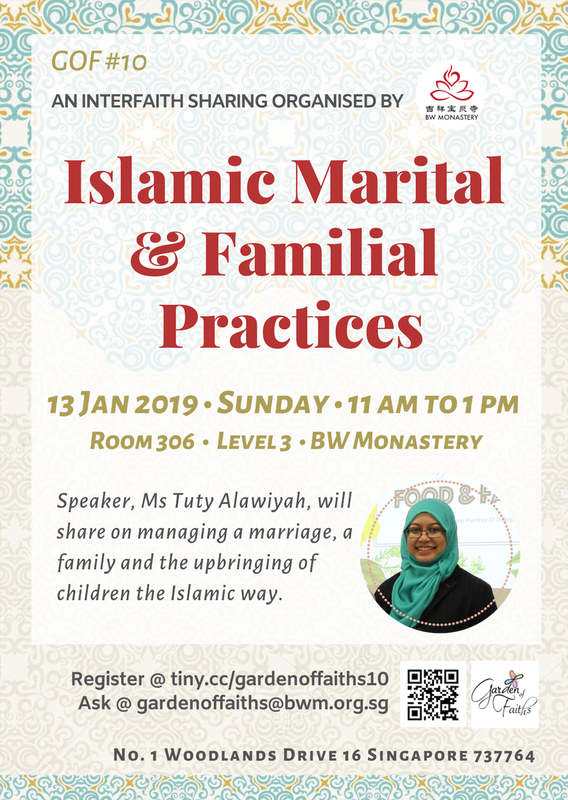 Our guest speaker, Ms Tuty Alawiyah, will share with us on managing a marriage, a family and the upbringing of children the Islamic way! Join us for this intimate sharing where we learn, ask and share!